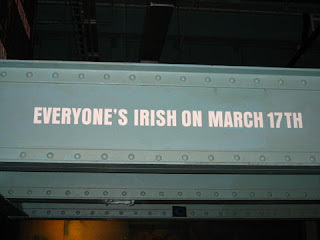 Everyone's Irish on St. Patrick's Day- true, especially for me on March 17, 2006 when my 2 friends and I went to Dublin to celebrate when we were studying abroad. 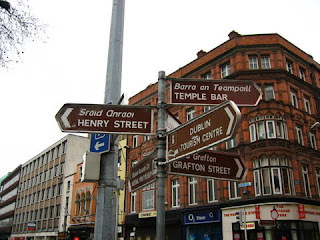 The rainy weather didn't stop us from wandering the city, catching the parade, enjoying some pints, hitting up the Guinness brewery, and playing a game or 2 of snooker. It was a quick trip- I think we were only there 36 hours! Amanda and I getting festive. 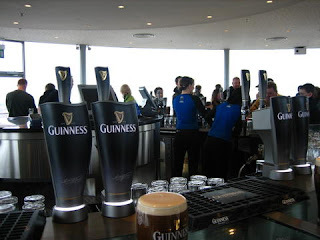 Gravity Bar- free Guinness and overlooking the city. I hit this up when i studied abroad too! Isn't it so great! I didn't even like Guinness until I went but left a big fan! 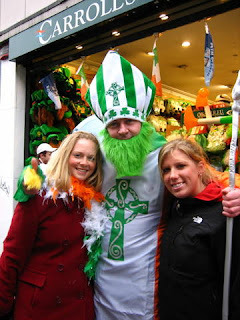 That's awesome you got to spent St. Patrick's Day in Dublin! Are you trying to make me jealous Jaime??? :) Looks perfect!!!!!!!!!!!!!! 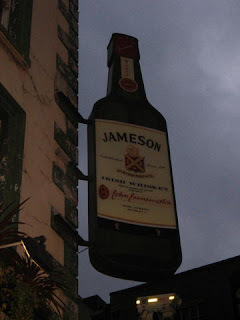 Happy St. Patrick's Day, Jaime! Looks like u had a fun trip to Dublin! :D Love the green hooves on the horses. Too cute! It would be great to celebrate in Dublin! 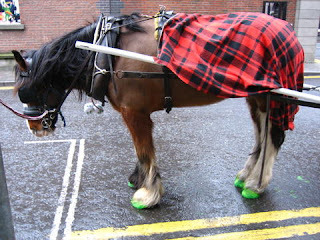 i love love love the green hooves! Oh How Fun!! I love it! Happy St Patrick's Day! oh fun! I was there in 2003, after a short study-abroad stint in Prague. We were heading back to the states and had to change planes somewhere... we couldn't NOT stop in Dublin! great photos! Happy St. Patrick's Day!! how fun! 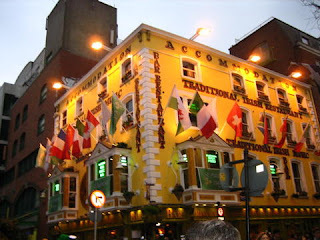 I'd love to go there for St. Patrick's Day. I'm sure it would be crazy but lots and lots of fun! Oh wow, that looks like fun! Makes me wish I was in Ireland...hope you had a great day! GO Irish! woohooo!! hope you had a fab day!! Awww, the horse is so cute! Anyway, check out the st. patties giveaway on my blog!! !